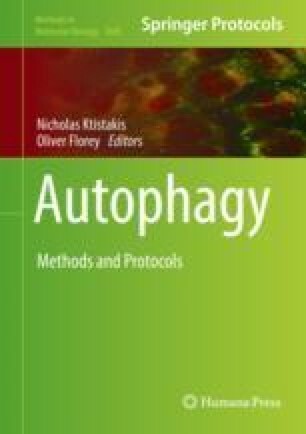 Autophagy evolved as a mechanism to sustain cellular homeostasis during instances of nutrient deprivation. Mounting evidence has also clarified that under basal and stress conditions, selective autophagy pathways can target the destruction of specific organelles. Mitochondrial autophagy, or mitophagy, has emerged as a key quality control (QC) mechanism to sustain the integrity of eukaryotic mitochondrial networks. We recently reported the development of mito-QC, a novel reporter mouse model that enables the high-resolution study of mammalian mitophagy with precision, in fixed and live preparations. This model holds significant potential to transform our understanding of mammalian mitophagy pathways in vivo, in a variety of physiological contexts. We outline a detailed protocol for use of our recently described mito-QC mouse model, including tips and troubleshooting advice for those interested in monitoring mitophagy in vitro and in vivo. We gratefully acknowledge the outstanding support from our colleagues and collaborators who have enabled us to develop and refine our methods using mito-QC. In particular, we wish to thank Dr. Alan R. Prescott for his expertise in microscopy and Dr. Graeme Ball for his expertise in image analysis. We thank Dr. Ngaire Dennison for her guidance on animal experiments. We thank Lambert Montava-Garriga, Dr. Jin-Feng Zhao, and Dr. François Singh for their critical reading of the manuscript. This work was funded by Medical Research Council, UK (IGG; MC_UU_12016/4).